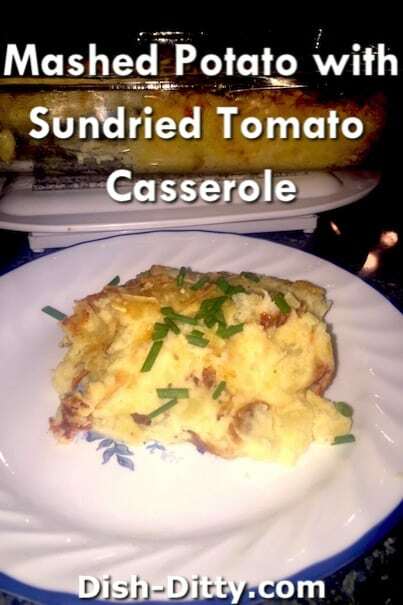 This is a great make-ahead side dish that is a crowd pleaser. 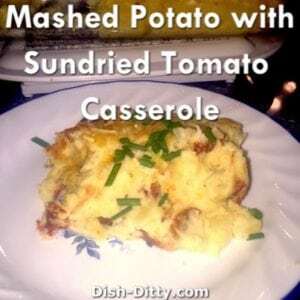 My mom used to make this Baked Mashed Potatoes with Sun Dried Tomatoes recipe for our Sunday dinners and it was definitely one of her favorites. I do have a bit of a confession. My mom thought that my husband loved this recipe. Early in our marriage, my mom made this for dinner one night and Mickey ate it and said how great it was. Of course, my mom then thought it was Mickey’s favorite recipe. Little did she know that he didn’t really like sun-dried tomatoes but was trying to be polite. Ever since then, whenever it was his birthday, my mom made it a point to make this for him. It was so sweet. We didn’t have the heart to tell her that Mickey really didn’t like it and would just prefer a plain old baked potato with butter and sour cream. Well, I confessed to my dad when we made this a couple of weeks ago and he got a good laugh out of it. Anyways, if you like sun dried tomatoes, this is a great recipe. 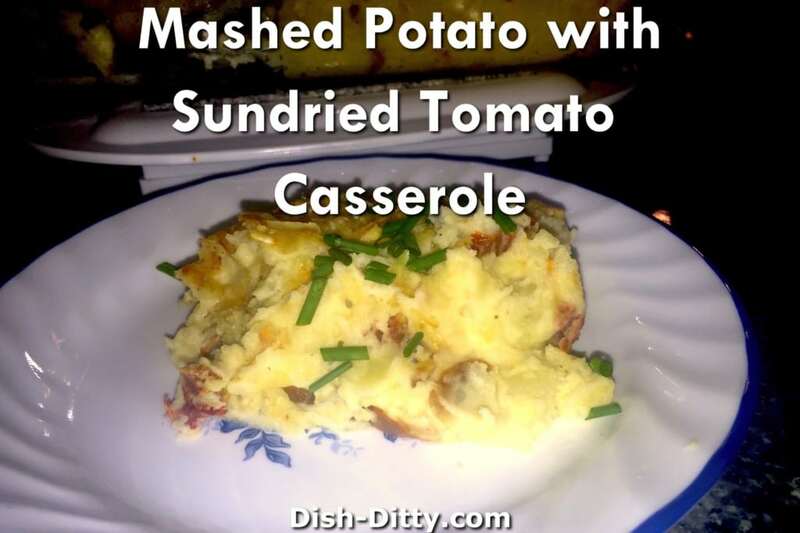 It really is delicious and is perfect for a dinner party as you can make it the day before and juts pop it in the oven. Boil potatoes until tender; drain. Return potatoes to cooking pot; mash well. Mash in milk and garlic. Add sour cream, tomatoes and salt. Spread in a 9X13 in pan or baking casserole. Sprinkle with Parmesan Cheese. Refrigerate overnight if desired. Bake uncovered at 375 deg for 30 minutes until top is golden (45 minutes if refrigerated). No Replies to "Baked Mashed Potatoes with Sun Dried Tomatoes Recipe"